Like president or doctor, once you go to space, you retain the title of astronaut. 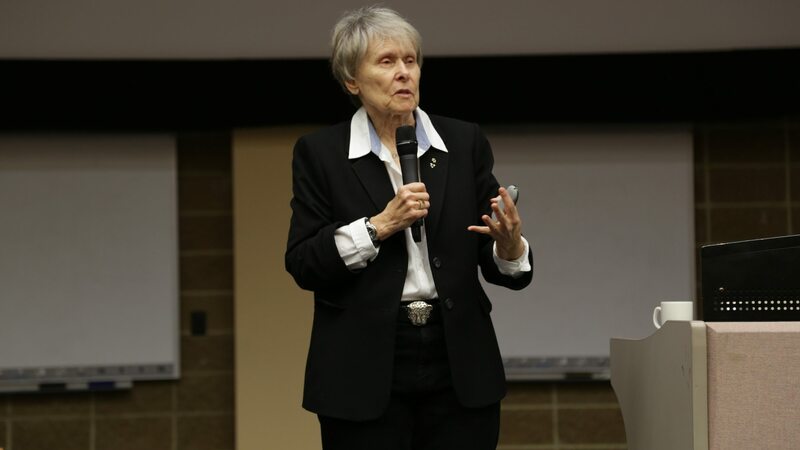 Following her keynote speech to a rapt audience at the inaugural Arrell Food Summit, Bondar speaks about the impact of climate change on agriculture as only someone who has left the confines of this planet can. While Bondar asks more questions than she (or anyone) has answers for, the one thing she can tell us with certainty is that space is dirty. When you floss in space, the tiny flecks that usually stick to your bathroom mirror, instead end up floating in the capsule. During her talk, she shows a video of growing lettuce in space, the astronaut wearing a glove. “Don’t ask me what else the glove is used for,” says Bondar, all but begging us to inquire how one poops in space. We did ask. Only one sentence is printable.